Random Panel: Screw speed dating, go BULLET dating! 4 Responses to Random Panel: Screw speed dating, go BULLET dating! I can’t see the panel. 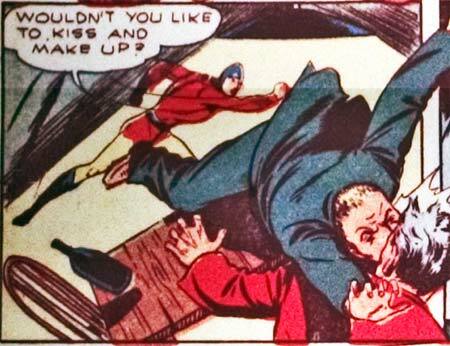 Dan, Bulletman is forcing two men to engage in angry kissing– angry, midair collision-style kissing.